Moto 4T There are 3 products. 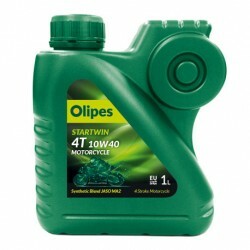 Startwin 4T 10W40 Moto is a multigrade motor oil based on synthetic base oils. Specially formulated to meet the requirements of 4-stroke motorcycles. Startwin 4T 15W50 Moto is a Synthetic multigrade motor oil, last generation. Specially formulated to meet the requirements of 4-stroke motorcycles. 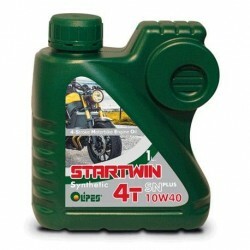 Startwin 4T 10W40 SN Plus is a Synthetic multigrade motor oil, last generation. Specially formulated to meet the requirements of 4-stroke motorcycles.